Congress is expected to receive formal notification within weeks, setting in motion a deal with Nigeria that the Obama administration had planned to approve at the very end of Barack Obama’s presidency. The arrangement will call for Nigeria to purchase up to 12 Embraer A-29 Super Tucano aircraft with sophisticated targeting gear for nearly $600 million, one of the officials said. 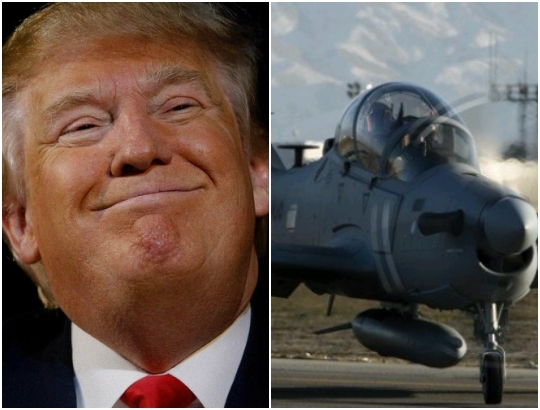 According to the Military Times,though President Donald Trump has made clear his intention to approve the sale of the aircraft, the National Security Council is still working on the issue. Military sales to several other countries are also expected to be approved but are caught up in an ongoing White House review. Nigeria has been trying to buy the aircraft since 2015. Do you know that this 58 Democratic lawmakers ain’t present in the Donald Trump’s Inauguration? ?